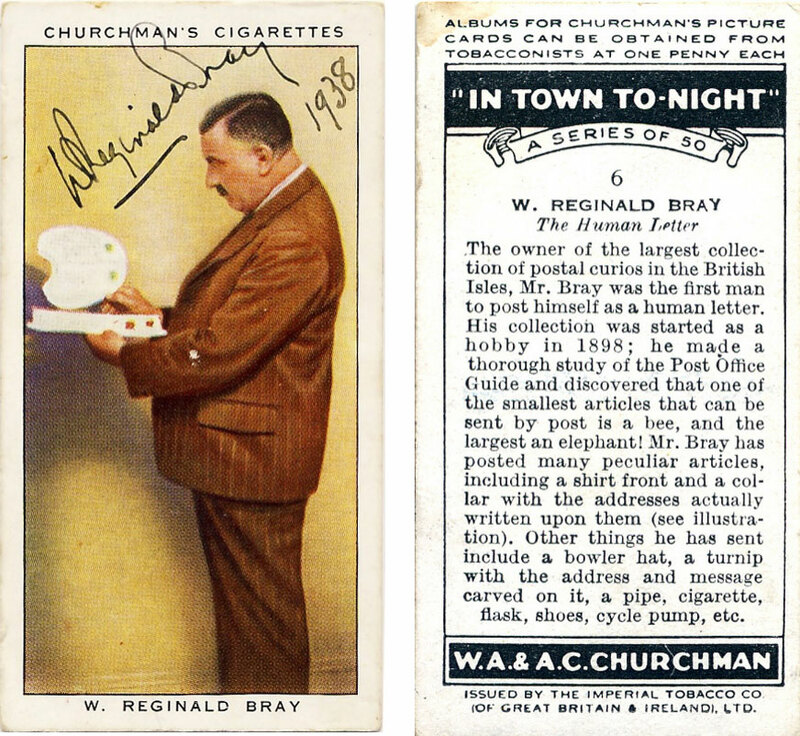 Willie Reginald ‘Reg’ Bray, the ‘Autograph King’, who, as a postal prankster, put the British postal authorities to the test. Courtesy of John Tingey. I have to confess that I have an almost childish interest in persons who are doing things their own way or walking down a path less travelled by, men and women who are so-called eccentrics. There is no question that Great Britain has had and still has the largest amount of eccentrics. Why is that? The other day, I came across an English eccentric who I have never heard of: Willie Reginald ‘Reg’ Bray (1879-1939). There is a website honouring his deed as a ‘prolific collector and postal prankster’, which is run by John Tingey, an author who came out with a book about Bray, The Englishman who Posted Himself and Other Curious Objects, in 2010 – read a The New Yorker review of this wonderful book here. 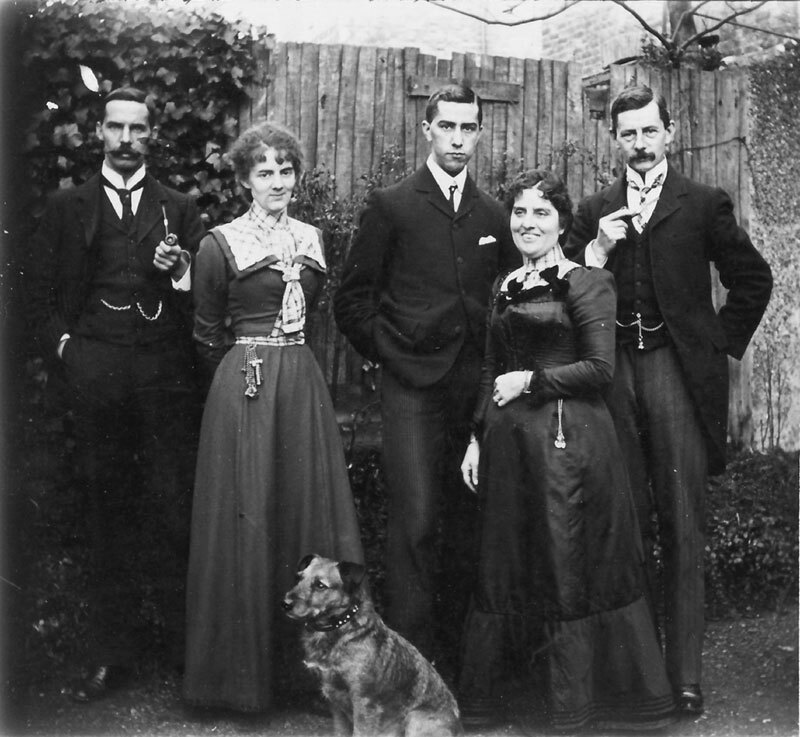 Reginald Bray with family members and the dog he mailed. Courtesy of John Tingey. He seemed to have lived a quiet middle-class life as an accountant in Forest Hill, Kent. In 1898, he bought a copy of the Post Office Guide and that changed his life. He studied the regulations and discovered that the smallest item one could send through the mail was a bee and the largest one, an elephant. Bray saw this as a challenge and decided to put the British postal authorities to the test. He began sending unwrapped, strange things through the post: a turnip, a bowler hat, a bicycle pump, shirt cuffs, seaweed, a rabbit’s skull, etc. To really put the postal service – and the poor postmen, one would assume – to the test, Bray also posted his Irish terrier. It was after he had posted himself as a letter, Bray earned the name ‘The Human Letter’. 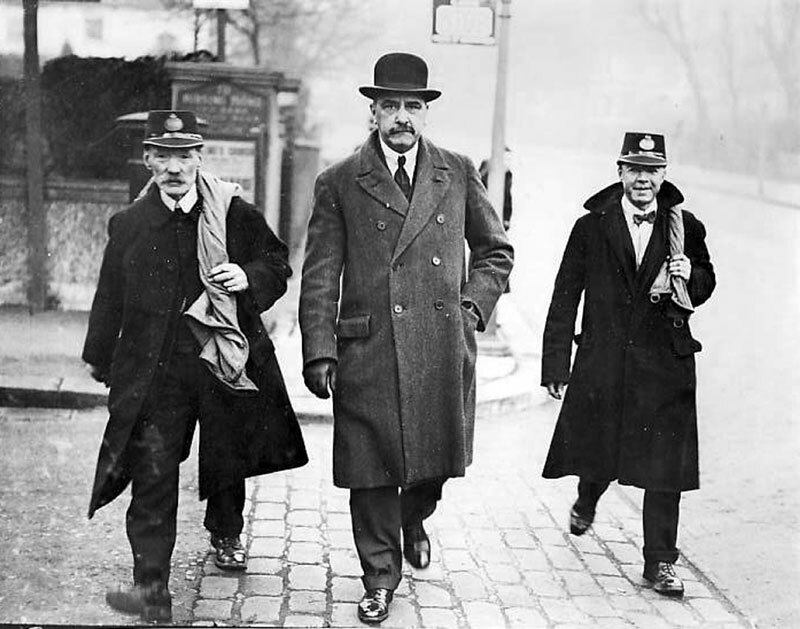 Reginald Bray, ‘The Human Letter’, with two postmen. At least, it looks like the poor postmen did not have to carry him to his destination. Courtesy of John Tingey. He also mailed cards that would challenge the postmen, picture puzzle post cards, and posted cards to hard-to-reach destinations. 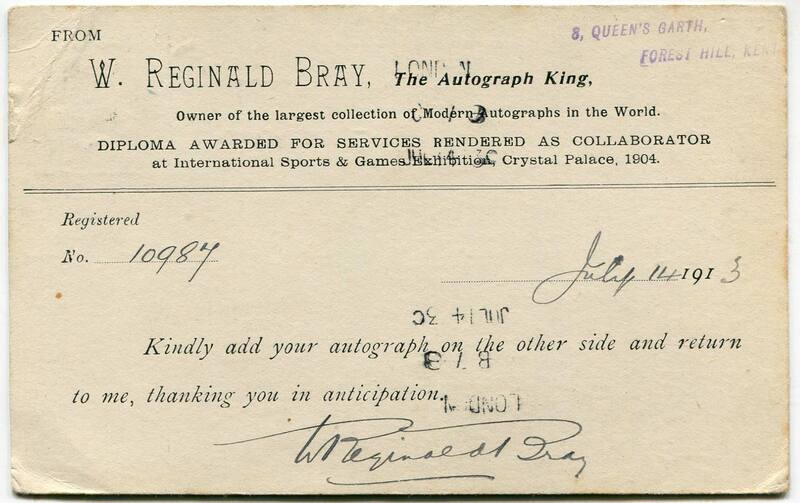 However, Bray’s interests began to change when he, in 1900, started collecting autographs. He sent post cards to politicians, men in the armed forces, performing artists, musicians, aviators and many others around the world to have them to return his cards with their autograph. Another category of men, who received cards from Bray, were sports stars, and here is where HTBS comes in the picture. 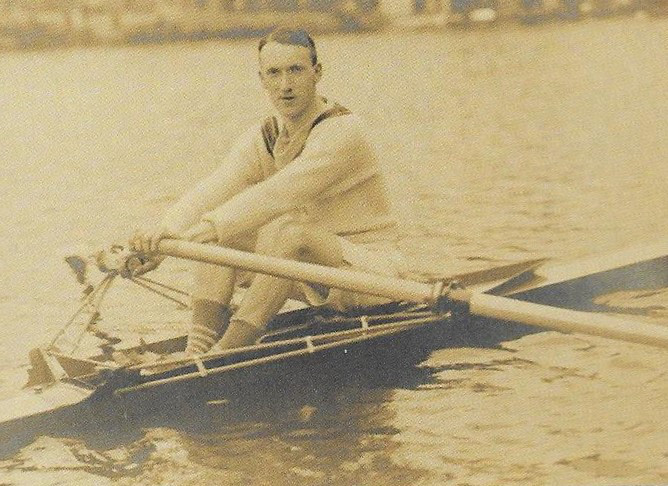 Jock Wise of London RC, winner of the 1913 Wingfield Sculls. Photo from Chris Dodd’s book Water Boiling Aft. With John Tingey’s e-mail, he also kindly sent along two images of a card, front and back, from his own collection, a card that once belonged to Reginald Bray, who eventually would end up with the world’s largest collection of autographs. At the time of his death in 1939, the collection included between 15,000 and 20,000 autographs – during his time collecting he had sent out more than 36,000 autograph requests. Not everyone signed and sent back his requests. Among those who declined were members of the British Royal Family (who have a policy not to sign autographs) and Adolf Hitler, who declined five times! Nevertheless, it was not an overstatement when Bray proclaimed himself the ‘Autograph King’. It was on 14 July 1913, Reginald Bray sent a post card to ‘C. 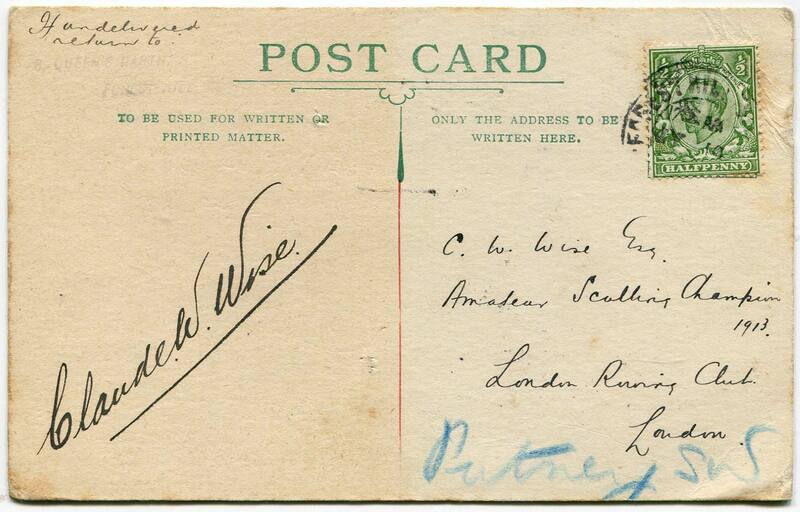 W. Wise, Esq., Amateur Sculling Champion at London Rowing Club’ asking for his autograph – a request that Wise granted which is shown in the two images of the post card below. According to an interesting and well-written article by Tingey, in his younger days Bray not only collected stamps and post cards, he also collected girlfriends. At one time, he actually dated three sisters and some other women at the same time! Eventually, Bray married one of the sisters, Mabel, in September 1908. 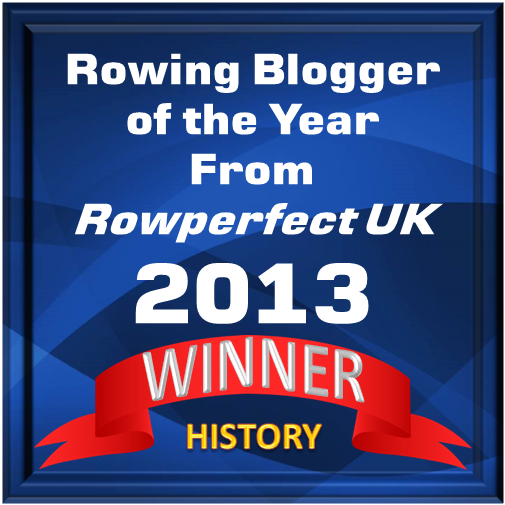 Previous HTBS is doing well!